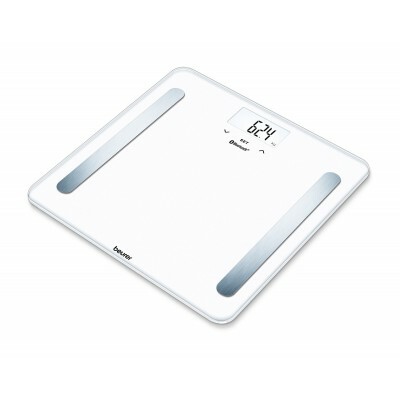 Diagnostic scale with standing surface made with safety glass, ITO coated and blue LCD display with white illumination. 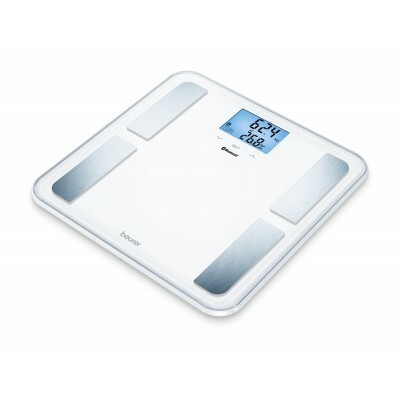 Modern diagnostic scale with innovative networking between smartphone and scale - keep track of your measurements and body data any time, at home and on the move. 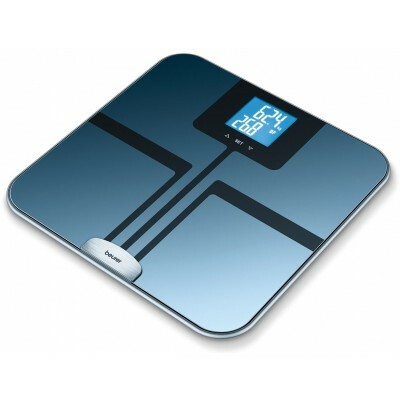 Works with Bluetooth SMART technology. 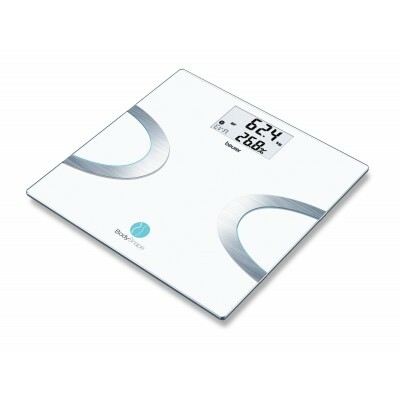 Included App for downloading (Apple and Android). 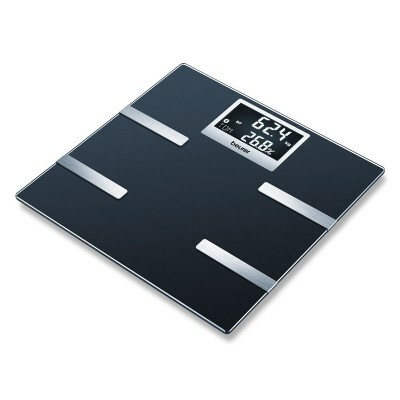 Glass diagnostic scale with 8 mm thick glass standing surface in XL format and extra-large LCD with blue illumination. 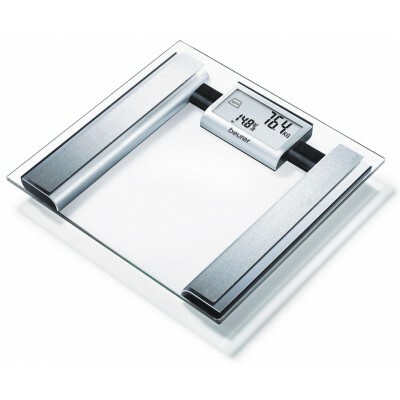 Ultra-flat glass diagnostic scale made of high-quality material mix of glass and brushed stainless steel with large 2-line LCD display. 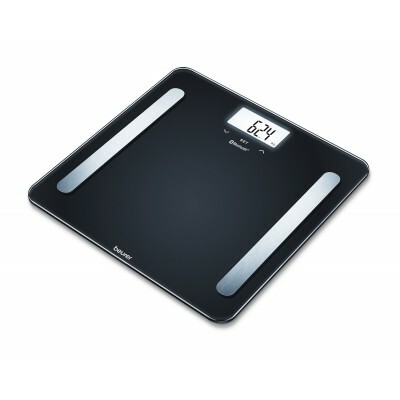 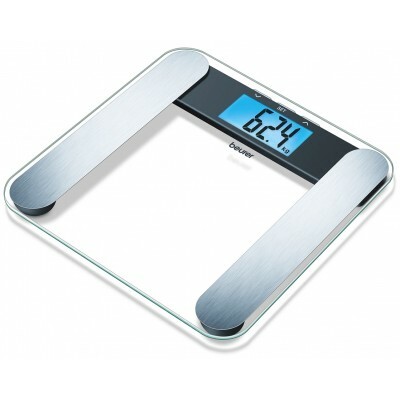 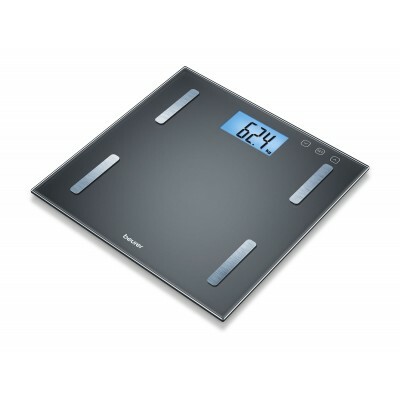 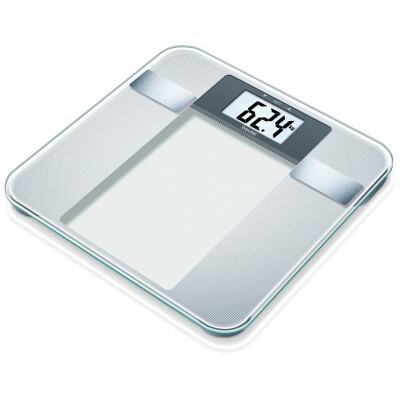 Modern glass diagnostic scale with large 2-line LCD display, various measurements and interpretation pyramid for body fat. 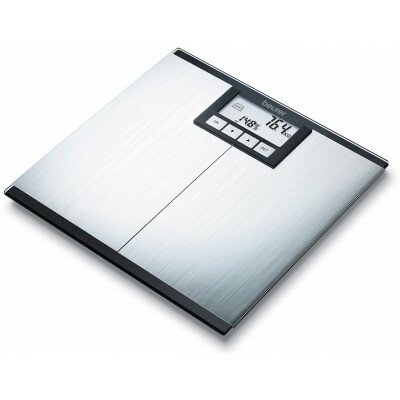 Diagnostic scale with standing surface made with safety glass, with large LCD and easy to read digits. 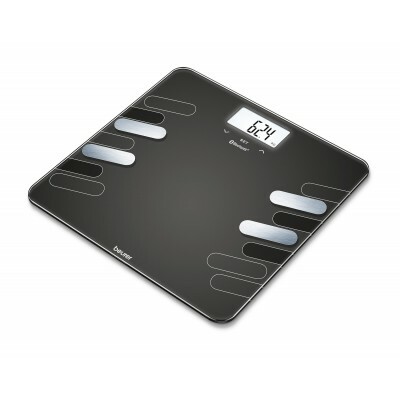 Elegant stripe design. 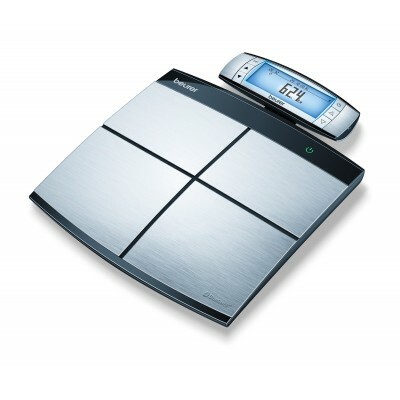 Body Complete diagnostic scale with detailed full-body analysis, precise upper/lower level body measurement, removable remote display and PC evaluation.